Everybody wants the home of their dreams. A big part of this is creating the perfect landscaping design that suits your individual and family needs but also complements your home. If you’re not sure where to start, don’t worry; we’re here to help you out. We’ve already done the research for you and have compiled a list of tips and trends in home landscaping this year. Resulting is our guide below: a less than 3 minute read to help you get up to date on the best landscaping designs of 2018. Vertical landscaping is quite a bit like urban farming. Space is optimised to make use of a room. Vertical landscaping often uses vertical shelves and walls to ensure that the majority of the horizontal space is not used. Landscapers are still given the opportunity to use the same number of plants, however, they provide rooms with the illusion of more space. Compared to traditional farming and landscaping, this method is more efficient by allowing you to maximise your space. When visitors arrive, their eyes will be drawn upward, thereby making it appear as if you have more space. Your paving says a lot about your backyard. That’s because it’s one of the first things people will look at when they come to visit. The paving of your backyard can make it appear as if you have more space or less, but the decision is all yours. Common paving trends include pisshapped tiles, which are particularly useful if you want to accentuate a space. You can include colour into your backyard when you use misshaped tiles, allowing you to create the look you want in your backyard. You can also decide to create a path with tiles in your backyard. The most popular stones for this include natural stone tiles, which you can run from your back steps to a pond, bench, etc. Many are turning toward stone paths to create a unique space that also gives the illusion of added space. Whether you decide to hire someone to do the job or not, the idea is the same – you need to put focus on your lighting. More specifically, you have to play with both shadow and light if you want a backyard that looks its best. When everything is highlighted the same, a backyard lacks dimension. When everything has a different kind of lighting, your backyard will look all over the place and will be hard to make sense of. If you want to highlight certain areas of your backyard, using your lighting is the best way to do so. You can use brighter LED lights to show off ponds, statues, etc. Your lighting will also determine how your backyard looks and feels. If you want a calming effect, you should use lighting with a dimming option. Any backyard can benefit from having a fountain or pond. That’s because even the smallest of spaces can accommodate for this addition. If you decide to have a bird fountain, you can simply install it in the corner of your backyard. 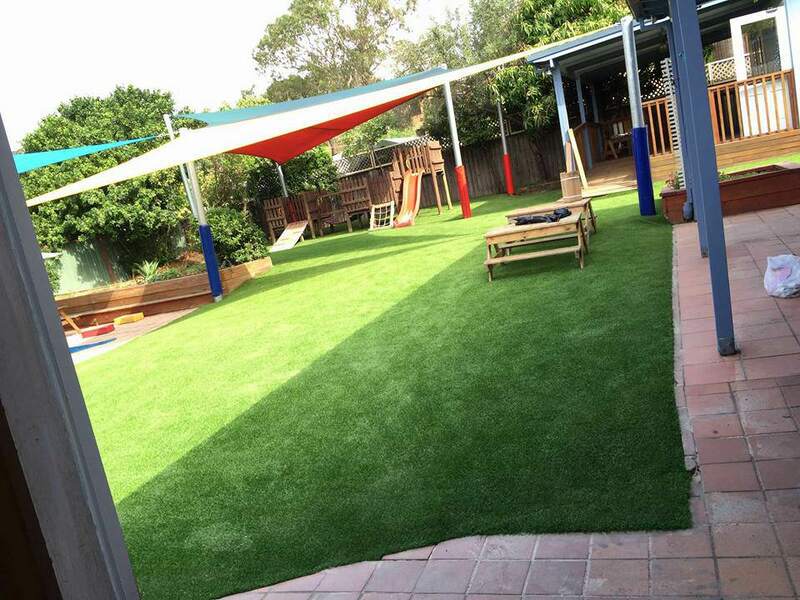 If you have a backyard that you want to make look its best, we’ve got just what you need. Whether you want your backyard to be artistic or tranquil, 2018 is the time to do it. It’s time to start thinking about spring and how you can spruce up your backyard and turn it into something everyone will enjoy. Check out our selection of professional landscaping services at Brisk Landscaping and give our friendly team a call today to begin your journey toward your dream backyard.